We do not sell products and we do not work on commission. Our advisors are Certified Financial Planners who follow a fiduciary standard that places the client’s interests ahead of our own. So our financial planning recommendations are based on objective analysis with no ulterior motive to sell something. We are down-to-earth and client centered. 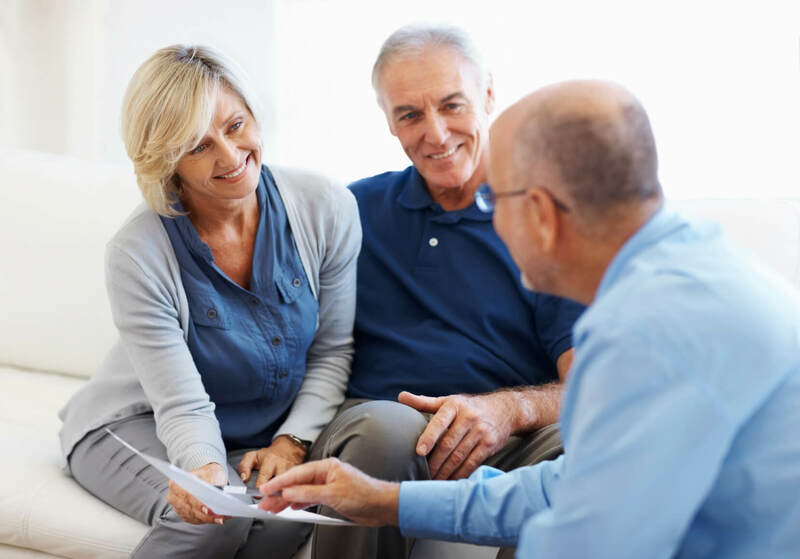 We try to make it easy for clients to discuss sensitive financial and retirement planning issues. The following events are among the most stressful times people face. We help clients get through them and come out with a sense of financial security. Divorce: Pre-divorce, we can help you consider the tax and financial consequences of a divorce settlement before you sign. Post-divorce, we can help you get started on a new independent financial life. Loss of a Spouse or Parent: Ideally clients would have planned for this with insurance and an estate plan but it is not the most pleasant topic and people often procrastinate. When that happens we are available to help them organize their financial life, make the necessary decisions and help with on-going advice. Loss of a Job: Sometimes it is sudden, sometimes there is some advance notice but whenever it happens, we provide valuable support with issues such as household budgeting, 401(k) rollovers and tax planning. Longer life expectancies and higher living standards require that more be set aside for our retirement years. Social security and company pension plans can no longer be relied upon to provide a comfortable retirement. Your retirement is your own responsibility . You need a plan designed by an advisor who is not trying to sell you something. Our financial advisors take a fiduciary pledge to put your interests first. Changing tax rules have given us more opportunities and more choices in how to save. We can help you sort through those choices. We will analyze your projected needs, your available sources of income and your existing investment plan, and make suggestions as to how much and how you should be investing. If you participate in a 401(k), 403(b) or 457 plan, we can help you choose appropriate investments within your plan. If you are self-employed, we will show you how to set up your own retirement plan. If you are near retirement, we can advise you on distributions, rollovers, beneficiaries, etc. We understand that this is everyone's least favorite area but we can help you address the important issues. If appropriate, we will suggest planning ideas to save taxes and preserve more of your assets for your heirs. Failure to carry sufficient insurance can be financially devastating to a family, but carrying too much can be very expensive. We do not sell insurance but we can help you decide what types of insurance and how much of it you should carry. We help clients through the financial issues faced by many families such as budgeting for the household, college savings plans, consumer debt management, house affordability and mortgage decisions.